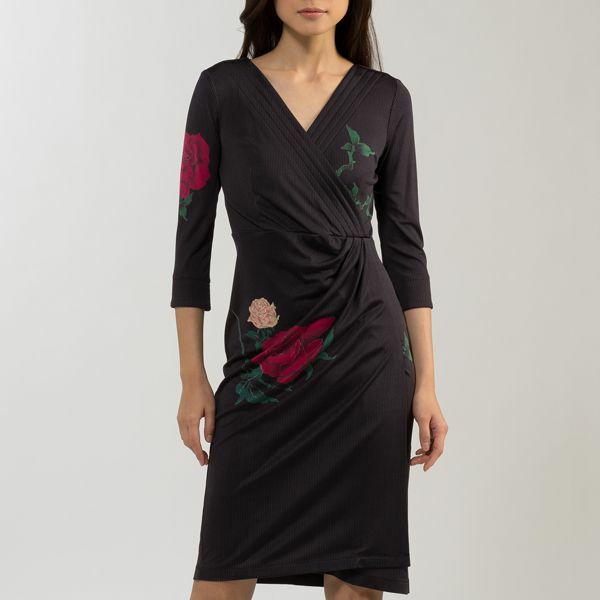 Luxurious and elegant, our 100% silk Black Rose dress is made exclusively in Japan using patented techniques. 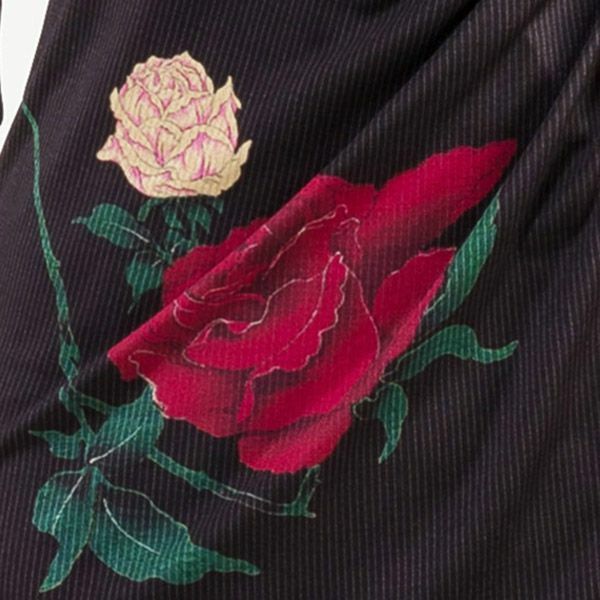 Red roses are specially arranged on a softly striped background calling to mind traditional Japanese kimono motif placement. 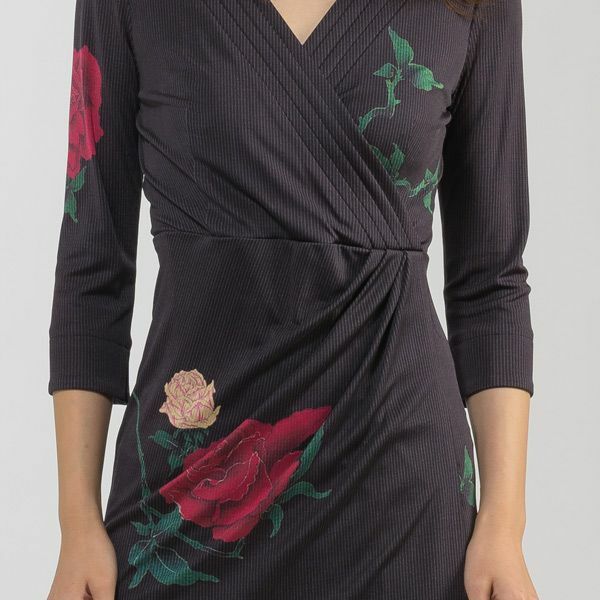 Red roses aren't just for Valentine's day - capture the richness of roses all year round. With cross-over collar, asymmetric hem and three-quarter sleeves, our Black Rose dress is a chic update on traditional Japanese elegance.